If that’s the case, why can’t it record 11 things? If you can believe this image, there are actually 15 tuners in the Genie 2! What’s going on here? It looks like there are actually two 8-tuner chips in the HS17 Genie 2. One tuner is just used for network data (like guide data and software downloads.) Seven are used for regular satellite reception. That’s where it gets interesting. Four tuners are reserved for “transponder bonding.” The best quality 4K channels, if they ever come, will require more than one transponder to transmit. The signal is just really huge. 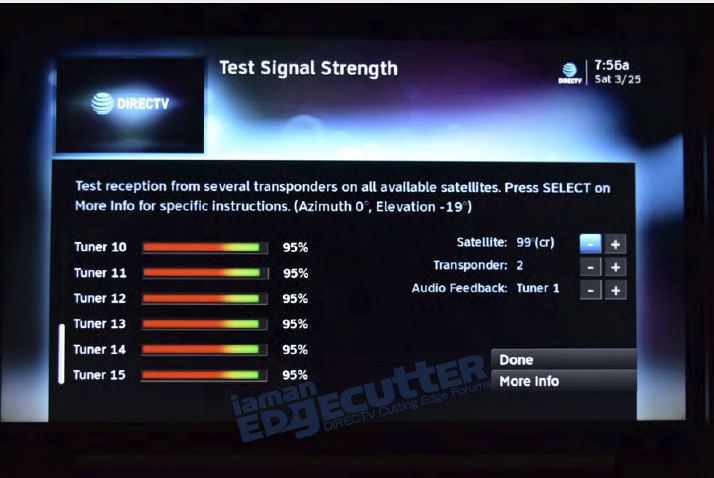 DIRECTV’s satellites can put 4-6 HD channels on a transponder, and there’s talk of using up to three transponders to transmit the highest quality HD. This isn’t a problem, AT&T has plenty of capacity. So four tuners are actually reserved for two separate 4K streams, to make sure each stream can be received fully. They’re not used otherwise. This leaves four tuners that aren’t used at all. This isn’t the first time we’ve seen this. The original Genie had two 4-tuner chips but only used 6 tuners (5 for TV plus the network tuner.) The early Genies simply lacked the processing power to handle more than that. MoCA is the technology that lets the Genie talk to its clients. It’s a specialized form of network communication that’s designed to be very smooth. The version of MoCA used in the original Genie clients would not support more than 5 streams of HD and 2 streams of 4K, and even that is using some non-standard implementations. 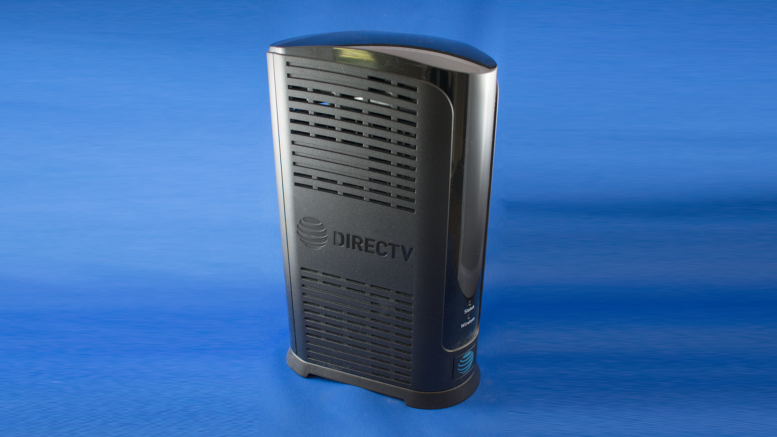 There is a new version of MoCA used in the latest Genie clients that would allow more streams over a wire, but it’s not used so that AT&T can take advantage of a plentiful supply of refurbished client boxes. Are you suffering with only 7 rooms? Yes, I know there are people who would gladly pay more for a souped-up Genie that could support 15 clients (or 6 HD plus 3 4K, or 5 4K). Many of you are in that camp. The issue, as always, is development cost vs. return on investment. How many people would pay for a system like that if it were $3,000 instead of $300? With a small group to pay for the engineering you’d need, that hardware would cost a lot. There comes a point where you’d never make back the initial investment. For those folks who need more than 7 rooms of satellite TV, there are two great options. First of all you can get the HR54 Genie DVR which supports 4 rooms (and 1 4K stream) and then add as many receivers as you want. For the truly well-heeled, the folks who would “pay what it takes,” simply get a second Genie 2 on a second DIRECTV account. That takes you to 14 rooms and 4 4K streams. I’m sure there are a few folks out there who still need more, but I have to admit that number’s pretty small. EDITORIAL: Will we ever run out of cop shows?